Including JD Menu, Control Pane Module and Anything Slider Module for FREE. Adapts to any device (desktop/tablet/mobile). Horizontal menu. Horizontally and vertically expandable. 15 panes structures, 5 matching containers included. Great for dance studio & schools, performance dance centres, performing arts, etc. W3C compliance help ensure accessiblity for the disabled. W3C compliance will also help ensure that regardless of the browser, resolution, device, etc. 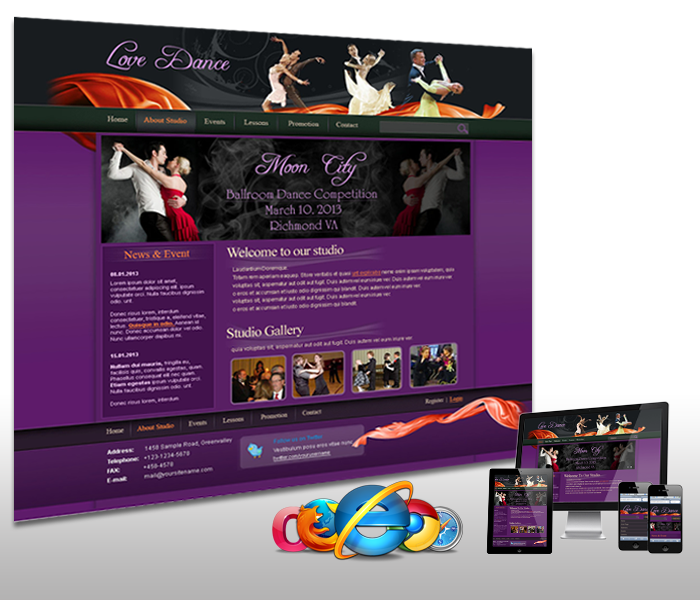 that your website will look and function in the same or at least a very similar fashion. W3C compliance supports SEO friendly.